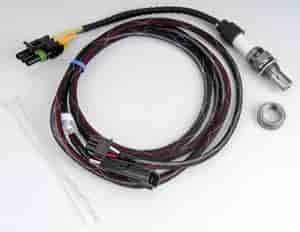 The addition of a Holley Closed Loop Oxygen Sensor kit to your Holley Digital Pro-Jection fuel injection system enhances the fuel delivery process by constantly monitoring the air/fuel ratio and automatically making the corrections necessary to achieve an ideal 14.7 to 1 air /fuel ratio. Sensor easily installs in the exhaust system between the engine and the catalytic converter. (C.A.R.B. exemption applied for).